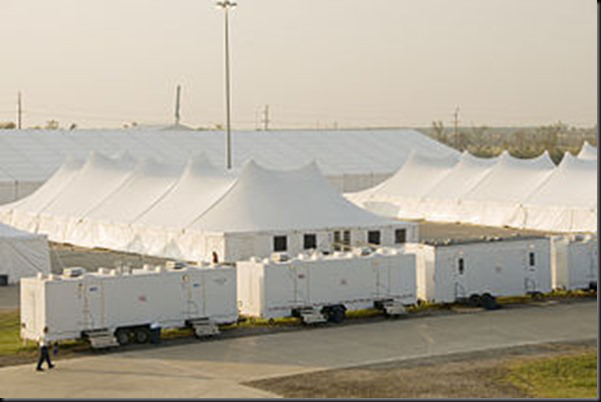 It is laughable that some in the independent media are still in denial about the existence and true nature of concentration camps in America,commonly known as FEMA camps. The evidence is overwhelming and from certain documents we can ascertain how “detainees” will be captured and transported to these infamous FEMA camps. The purpose of this article is to demonstrate, that from the government’s own documents, it is child’s play to demonstrate the nature of FEMA camps in terms of who is going to be running these camps. We often hear the question: “Will American soldiers fire upon American citizens upon a martial law roundup of millions of Americans”? The answer to that question is a moot point. 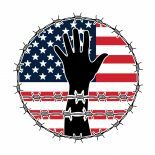 It is clear from analyzing data from Army concentration camp materials, that American soldiers will be used to round up detainees. However, the camps in which people will be deported to will ultimately be staffed and run by foreign troops. This document will make this point abundantly clear. From the perspective of history, concentration camps are notoriously known for being institutions of murder. Based on this notion, I scoured the Army concentration camp manual entitled FM 3-39.40 Internment and Resettlement Operations (PDF), and found only scant reference to the subject of deaths in the concentration camps. Now wait a minute, this document painstakingly describes interrogation processes, food preparation, the transport and care of detainees, but they barely mention how they are going to deal with dead bodies? In a facility filled with a divergent population with regard to age, health status and physical conditioning, should the authorities be concerned with what happens when an inmate dies from an unexpected heart attack or stroke? What would they do with the dead bodies? If proper preparations are not taken for the proper care and disposal of dead bodies, wouldn’t that imperil the health of fellow inmates, not to mention the guards and other military personnel? This should be a primary concern for any facility. However, this is the one area where the FEMA camp Army manual is relatively silent. -Date, place, and circumstances of the detainee’s death. -Initial assessment as to whether the detainee’s death was, or was not, the result of the deceased’s own misconduct. -The initial assessment as to the cause of death. What is interesting about 5-69 is the cause of death is not categorized in any meaningful manner except to say that there is a conscious effort to determine if the death of the inmate was due to “their own actions”. Notice in the above (5-72) that only meaningful categories of inmate death are (1) the detainee’s own misconduct and (2) death due to external causes. 5-73. The NRDC will notify the ICRC of all detainee deaths. The NDRC will maintain detainee DD Forms 2064 for the period of hostilities or occupation, for the duration of any other military operation, or as otherwise directed. When authorized, the NDRC will archive detainee DD Forms 2064. There is a key phrase that barely goes unnoticed. the phrase is “The NDRC will maintain detainee DD Forms 2064 for the period of the hostilities or occupation…” In other words, there will be no Nuremberg trials for genocide because the records will be not be permanently maintained (i.e. destroyed). For a manual which spells out, in detail, every possible consideration of how detainees will be handled, they omit the disposal of dead bodies. Will there be a military regulation that nobody can drop dead in the camp of a heart attack? Or, is this because except for the occasional spontaneous death, the Army seems very unconcerned about disposing of dead bodies at a facility of mass detention? I can only come to one conclusion, most of the deaths associated with the detainees, will not occur at the facility itself and this explains why the Army is seemingly unconcerned with this issue. This opens a whole host of possibilities. Are the unhealthy going to be transported to a tertiary facility to be humanely treated while their medical conditions will be treated? I think it is fairly easy to see where I am going with this. Can we really expect the “authorities” who have committed an inhumane act by incarcerating people for no legitimate reason to suddenly discover their conscience and treat the infirm with compassion and dignity? At this point, we are all thinking the same thing, so it may as well be said. Are there going to be mass extermination facilities, off-site, to dispose of those who cannot work, or will not work? And the reason that the Army is unconcerned about what is going to happen with regard to the death of these inmates is because this will not be their problem. I have been receiving emails on a FEMA camp facility in Stockton, CA. for the past 18 months. Here is an excerpt for one of these emails as well as the content, within the context presented in this article, makes this email very disturbing. I have been able to verify the existence of the disturbing acquisition of a cemetery and a crematorium adjacent to the AMTRAK facility in Stockton. Here a couple of pictures. 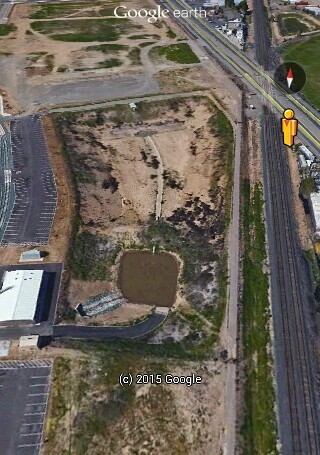 The Stockton AMTRAK FEMA Camp facility in the early stages of construction. 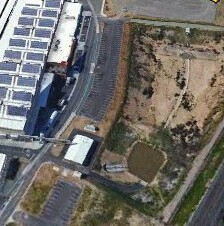 The Stockton facility after construction has commenced. The above photo is reminiscent of this photo that was leaked nearly three years ago. One can see the headstones from the cemetery/crematorium property acquired by the facility. There is clear evidence that the foreign soldiers are going to be trained to take over the FEMA Camps and the question as to whether American forces would fire upon American citizens is a moot point. “This appendix addresses aspects of developing confinement officers in other countries. For the purposes of this appendix, the terms foreign and HN confinement officers are synonymous”. For 18 months, I have interviewed numerous eyewitnesses on my talk show about the presence of foreign troops (mostly Russian) training on American soil. Sherrie Wilcox has presented videotape and still photo evidence. Others have provided their firsthand accounts of these events. I have detailed the existence of a FEMA bilateral agreement with the Russians to bring in 15,000 soldiers for “disaster training”. And despite all the evidence, there are people who have roundly criticized The Common Sense Show for accurately claiming there are foreign troops on American soil. Those who have refused to look at the evidence owe my people an apology. Second, the “bury their head in the sand crowd” ,will never know what will hit them when all hell breaks loose. No legitimate process to deal with dead bodies, the training of foreign assets to assume control over the camps and the eventual training of foreign assets to train their own, can only mean one thing. 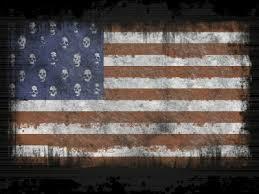 American soldiers will be removed from the killing of American citizens. When you combine those political practices with what is described here, we are looking at an unimaginable horror of epic proportions. This entry was posted on January 30, 2015 by conspiracyanalyst in Martial Law, New World Order, Society, US News and tagged concentration camps, FEMA, FEMA camps.